After many customer requests, we created an online estimate calculator to give you instant online estimates for steel buildings & metal building kits. To get started, enter the dimensions & location of your building in the estimator tool below. Steel Price: Like most materials, steel is a commodity across the world and the price fluctuates with the market demand on an almost daily basis. Steel and other materials can have their price influenced by any number of factors, from earthquakes or tsunamis to the strength of the dollar or even as simple as how much is being produced. 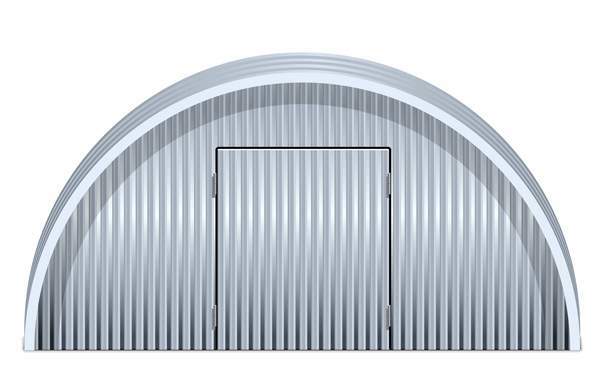 Building Style: What style of a building do you need, a Quonset style building or a more traditional, pitched roof style building? Quonset huts can be up to 30% cheaper and less expensive to construct (especially if you go the self-build route). Also, if the design has a complicated shape and is structurally complex more time and material will be required. While the widths vary from structure to structure, the height of a pre-engineered building is generally restricted to one story (low-rise), although a loft or mezzanine could be built in if desired. The length of your building can, within reason, be as long as necessary. Height: How tall do you need your building to be? Pre-engineered buildings can range anywhere from 8 feet to 30 feet. Most structures tend to be in the 12 – 20 ft range for height. Please note that pre-engineered buildings are typically single-story (low-rise) structures, although mezzanines can be added to buildings with sufficient height (12ft+) a high pitched roof. Roof Pitch: The angle (or pitch) of the roof will also have a bearing on price due to the fact that steeper pitched roofs require more material. For more on pitch see our planning page. Framed Openings: Along the lines of needing a customized building, extra material is required for the framing of openings (for doors etc.) and will result in an added cost. 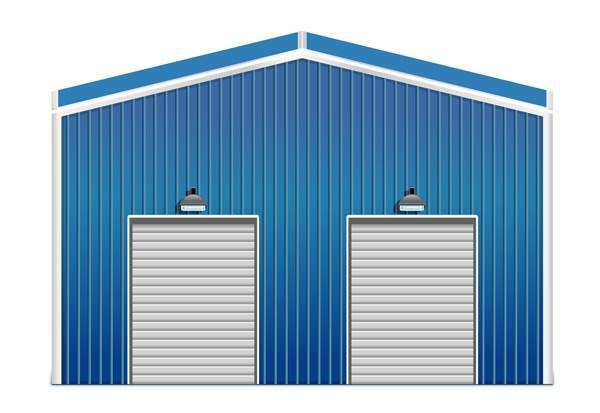 To withstand strong winds, overhead doors need support on the sides as well as the top and bottom edges. Wind locks to prevent the door from caving in during a storm are recommended. Finish: Whether its metal sheeting, brick, stucco or hardie board on the outside of your structure, or a mezzanine and/or partitions on the inside, your desired finish will have an impact on the final cost of your metal building. 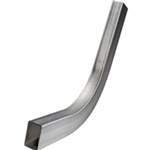 Our suppliers only use solid, heavy gauge steel components that can be customized and engineered for earthquake zones, snow loads up to 120 lb/ft and hurricane force winds up to 180 mph. Tubular frame kits sold at ‘box stores’ and on ebay are standard size, lightweight tubular structures that can only withstand snow loads of 30 lb/ft and gusts of wind up to 70 mph. Standard Vs Custom: Generally, standard-sized buildings (30×40, 40×60, etc.) are less expensive than custom-sized buildings (29×43, 42×57 etc. ), since they are more readily available through suppliers. If you’re needing a custom sized building, it can be more cost-effective to up the size a little and opt for a standard size. Location: Dealing with heavy snowfall, strong winds or seismic activity will lead to additional engineering and material, adding to the final cost. The maximum snow load a building can hold to meet local codes is dependent on location and the style of roof. All buildings ordered via BuildingsGuide are engineered to meet or exceed building codes in accordance with your counties requirements. 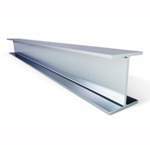 Each order is accompanied with stamped engineering drawings that can be submitted to your local building department for planning approval. Equipment & Labor: Are you renting or buying the tools needed, or will they be supplied by the general contractor? Will you need lifting equipment such as a crane or scissor lift in order to complete the construction of your pre-engineered building? If you choose not to go the self-build route and opt for a GC to construct your building you will need to factor in approx. $4-8/sq ft to cover the labor cost of erecting the building. Foundation: Is a foundation for your structure already in place? If not, how thick and/or large do you need your foundation to be? At a minimum, a 4″ slab can run anywhere between $4-8 per square foot. If heavy vehicles and machinery will be housed in the building, 6″ slabs are recommended. Insulation: Both the type and thickness of insulation needs to be considered. There are four main types of insulation: Fiberglass Blanket, Rigid, Foam-Core Sandwich Panels and Spray-on Cellulose. With standard sized steel structures, the larger the structure, the lower the average cost per square foot. As you can see in the table below, the difference between a 30×40 building and a 100×100 building can offer a saving of up to 27% on your total cost. These are the types of prices you will find on standard metal buildings. However, if it’s a crane building, the prices will be higher due to the increase in size and extra engineering required to support heavy gantry cranes. This will also apply to other structures that will house heavy plant, machinery, and vehicles. For more information, please see our page on crane buildings.